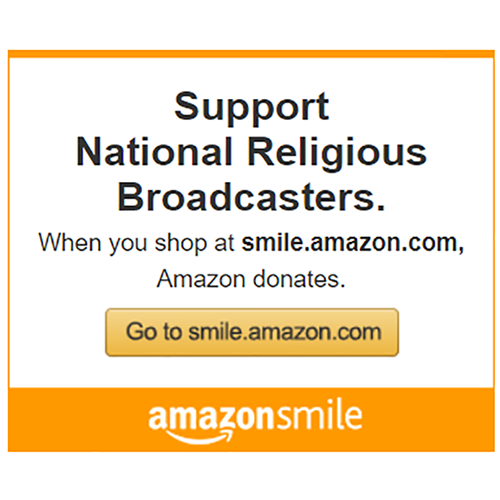 Did you know that you can support the work of National Religious Broadcasters while shopping online at Amazon.com? Simply access AmazonSmile at smile.amazon.com and select National Religious Broadcasters as your preferred charity. Then, proceed to shop on Amazon as you would normally. When you complete a purchase, Amazon will donate a percentage of your total purchase price directly to National Religious Broadcasters. So, this holiday season, shop at smile.amazon.com and support NRB’s work of advancing biblical truth, promoting media excellence, and defending free speech!